We are surrounded by beautiful countryside. Perfect for walking, cycling and horse riding! The Kennet and Avon cycle route is Britain’s most popular long-distance waterside cycle route. From Bradford on Avon you can cycle west towards Bath passing the stunning aqueducts at Dundas and Avoncliff. It is a level 8 mile bike ride to Bath. At Bath you can join the Bristol and Bath Railway Path. Cycling east from Bradford on Avon you reach the Caen Hill Locks at Devizes where the canal ascends Caen Hill via a flight of 16 locks. These companies have a large selection of bikes and easy access to the towpath. Towpath Trail Cycles, Bradford-on-Avon, have mountain bikes, tandems, children’s bikes, tag-a-longs and Burley buggies. They also hires canoes. Bath and Dundas Canal Company, Brass Knocker Basin hire bikes, trailers, tag-a-longs and child seats. They also hires canoes and electric boats. Bradford on Avon is a Walkers are Welcome town. More details and walking maps can all be found on their website. 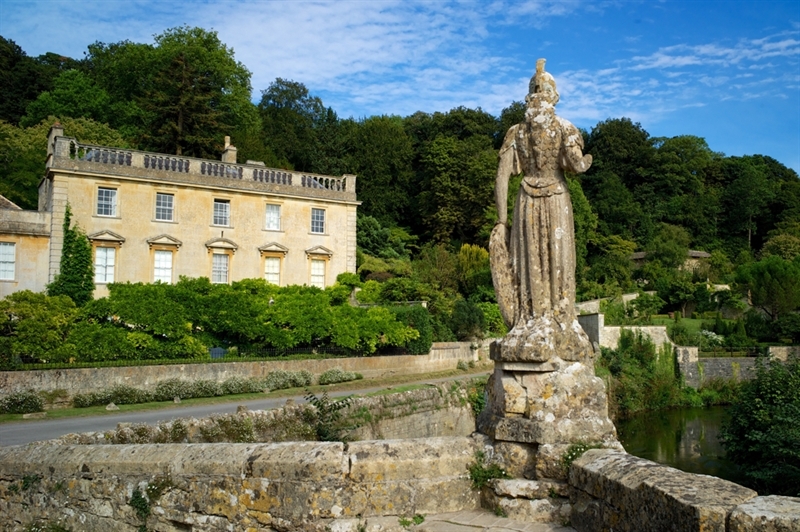 Bradford on Avon offers angling and boating on the nearby Kennet and Avon Canal, while the particularly attractive mile and a half stretch to Avoncliff is a popular walk. Built with stone from local quarries Avoncliff aqueduct was designed by canal engineer and architect John Rennie. Boat trips from the wharf on the Frome Road run regularly in the season. Admire the rolling countryside whilst riding along peaceful bridleways and byways. Very close to the hotel is Widbrook Equestrian Centre. Six miles of way-marked trails with extensive views of Bath and beyond. The walk includes hidden valleys, tranquil woodlands and meadows, plus Roman settlements and an 18th century folly. Perfect for picnics, kite flying and getting closer to nature.